Notes: Cover of a Portishead track recorded one evening with the help of red wine. 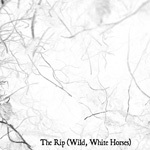 Wild, White Horses version with additional guitar and vocal harmonies. Performed and Arranged by Pawel Osmolski. I'm probably not allowed to post the lyrics to this song because it has got claws around it.